Here’s another entry for the 2019 St Luke’s CARES Community Awards, it has been submitted by Ken Ingram on behalf of Middleton Elderly Aid’s Arm In Arm walking group. For details of how YOUR community group can enter please click here. 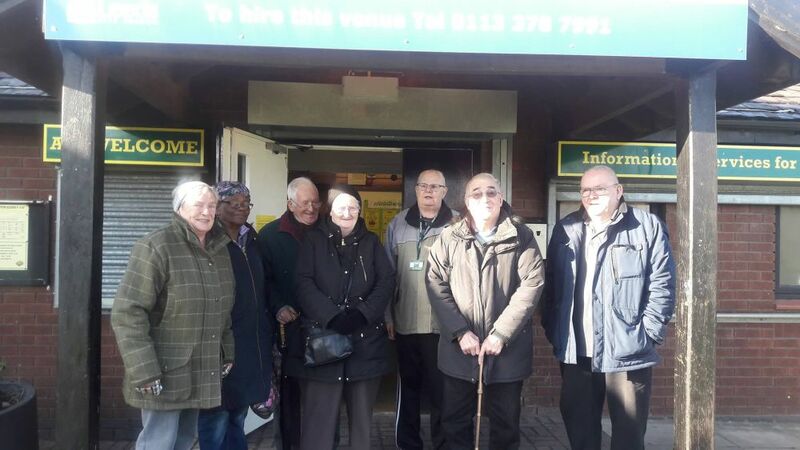 I was asked about a year ago by Sam, the Manager of Middleton Elderly Aid, after learning that I host a walking group in Belle Isle, would I like to host one from Middleton Elderly Aid. Of course I said yes. Sam, me and others had already started a memory cafe from the centre, called Arm in Arm. I suggested we use the same name for the walking group. The Middleton walking group is for the over 60s and their carers. So in February last year, Sam asked that me and Leanne a member of staff at Middleton Elderly Aid go on a First Aid course, before I actually starting the walking group. Me and Leanne passed the First Aid course and shortly afterwords I started the Walking Group. The benefit of the MEA walking group, is to get the elderly mobile which can only help with their cardiovascular health. At this time of the year it’s important that the elderly don’t hibernate, and this is why we as a group encourage the elderly to get out walking. The group walk into Middleton Park and on alternative weeks walk to the Rose Garden, or walk to the Lakeside Cafe, when we get the chance of a rest and hot drinks. Depending on which route we take , the group walk between 3 and 4 miles, for the elderly that is fantastic achievement. The Walking Group meets every Wednesday at the centre at 11am. The group and others, gets the chance to have a bacon sandwich and hot drinks before we set off on our walk. We return to the centre about two hours later when again drinks are available. The group has gone from strength to strength and recently had a record 14 of us on the walk. But there are usually no fewer than six out on the walk. The grant if we won would pay for Pedometers, so we can have a record of how many miles and steps we walked on the day. It would also allow the group to hire a minibus from time to time so that we can visit other parks and have a walk around from there.